how much solution per gallon of water? 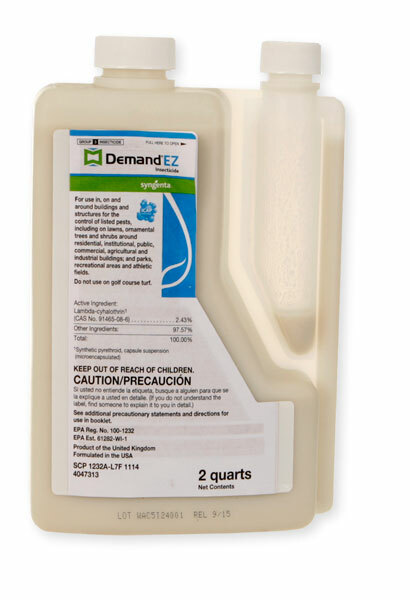 Demand EZ mixes at a really high rate. The bottle has a "tip n measure" cup attached to it. For most applications, a little more than an oz and a half (1.6 oz) per gallon of water is needed. For stronger doses a little more than 3 oz per gallon of water (3.2 oz) per gallon of water. I would recommend to use around 1.6 oz per gallon of water and if that doesn't work, use 3.2 oz per gallon of water.